Today, Monday, August 21st, literal history will be made in the skies across North America. If you’re lucky enough to be in the “path of totality”, you will see one of the most incredible sights nature can deliver: a total solar eclipse with the moon completely covering the sun and, for the most part, its atmosphere (or its corona). Even if you’re on the fray of the path of totality, you will still witness a jaw-dropping partial eclipse. Events like this hold monumental importance: they unite us when we seem to need it most. At Pepperjam, we’re taking full advantage of the opportunity to connect with events in each of our offices. We are encouraging our employees to step out of the office and be a part of something bigger than themselves, and we are having a little fun too by stepping up our usual snack room game by offering Moon pies, Sunchips and Milky Ways for everyone. Small, yet meaningful gestures go a long way in setting the experience up. And by all accounts, this monumental global event could really constitute a holiday, of sorts. Employees, clients and partners will be distracted all day, and with good reason. A total eclipse (at any given location) typically happens just once every hundred years or so. Because of this, one can reasonably conclude that brands have been hunkering down for months in preparation for this once in a lifetime event. However, this conclusion is only partially correct: some retailers shined, and some were left in the dark. And when it comes to building momentum for widespread natural events like these, there may be nothing worse than being in the dark. By August 18th, finding a pair of NASA approved viewing glasses was virtually impossible in brick and mortar stores and some online retailer were selling the very last of their inventory for upwards of $100 for a pair normally priced at about $1.98. No one seemed to care about the eclipse until we were right on its heels: something retailers should have considered when doling out their inventories across the US. But while some brands missed the proverbial boat, others are basking in their moment to shine (did we all see Chiquita completely winning the eclipse?). Other total eclipse winners include Denny’s (how could you go wrong with $4 all you can eat “mooncakes” today), Krispy Kreme’s “eclipse” donut deliciously moon-bathing in deep chocolate. Casper is setting up luxury tents equipped with their mattresses inside so sun gazers could see history in style and comfort. Even Twitter coined its own eclipse emoji and the internet went crazy. The takeaway? 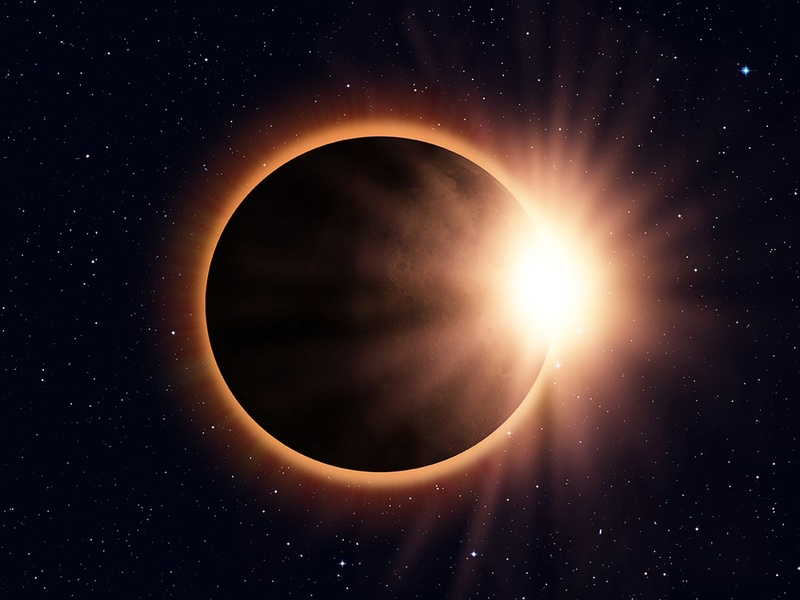 For retailers, world-wide and national events like the total solar eclipse are excellent marketing and branding opportunities—after all, we knew this was coming for practically, ever. For us, despite being firmly grounded in the tech industry, we’re all people and we’re all connected. We should all be taking today as an opportunity to connect with each other in a real, human way. No matter where you are today, try to take a few minutes to enjoy the eclipse and reflect on how magnificent the world really is. And if you were lucky enough to score some viewing glasses, please be sure to use them.